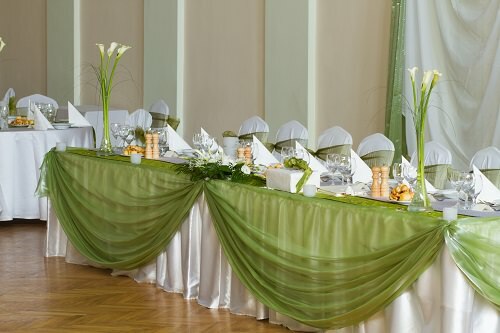 Instead of using standard white chairs, add eye-catching metallic green chair covers for a glamorous look at each table. Coordinate the chair covers with colored tiebacks in your secondary wedding color for a beautiful contrast. You can also match white and green colors to liven up your seating arrangements.